3Gstore.com Blog: Congrats to 3Gstore Customer Brent F. For Writing Review of a Pepwave Surf SOHO MK3 Router with 802. 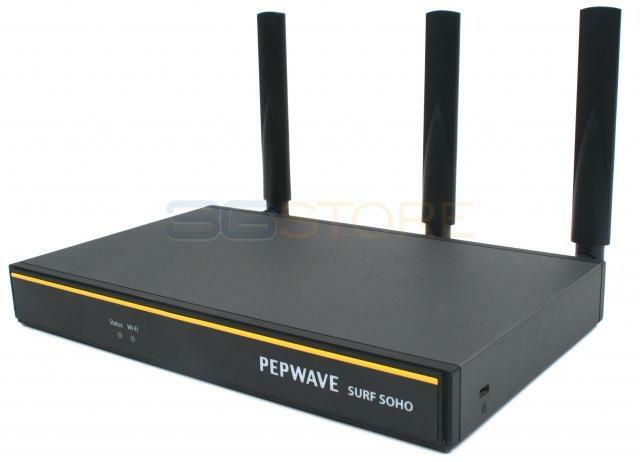 Congrats to 3Gstore Customer Brent F. For Writing Review of a Pepwave Surf SOHO MK3 Router with 802. Congrats to Brent F. of Bonita, California who just won a $25.00 Restaurant.com gift code for writing a review for Pepwave Surf SOHO MK3 Router with 802.11ac WiFi Hardware Revision 3 at 3Gstore.com! Every week we randomly pick one product review from the previous week and award the writer a $25.00 gift code. We appreciate ALL the reviews our customers write, whether they are positive or negative - honest reviews like Brent F.'s help other customers decide if the product is right for them. After you purchase a product from 3Gstore.com, we encourage you to log in and 3Gstore.com and leave a review letting people know how the product worked for you - you'll be helping others, and you'll automatically be entered to win a restaurant.com gift code!. Near-zero config. Works reliably and consistently. The only thing that would be better is if it also did balancing of the multiple connections.